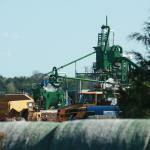 We are not hoping to shut down sand mining. Sand is needed. However, we do want to help ensure that the entire process is ethical and respectful of the landowners (and their neighbors) and of the environment -- a win/win for all. 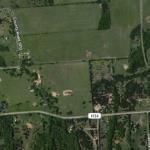 This photo -- taken on an unknown date by Bing Maps -- is of sand mining in another Texas location, not in Fannin County. Hopefully, this land will be reclaimed (or was) after the mining is completed. 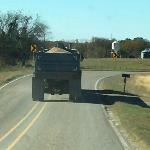 an Issue in Fannin County? 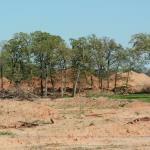 Some landowners in the Ravenna / Mulberry communities are very concerned about the sand mining operations in that area. One of those concerned citizen asked CORE, an established local non-profit organization, to help organize landowners to better address their concerns. The following issues of concern emerged from their first meeting on September 24, 2016:: 1) the effects on water quality and shallow wells in the area, 2) the increased traffic and danger from loaded trucks running full speed down a FM road not built or maintained for such traffic, 3) noise pollution, 4) the degradation of the topsoil and possible erosion, 5) the effects the mining has on property values for those not willing to sell/lease, and 6) the intimidation tactics used by one company if the owners are not interested in selling. 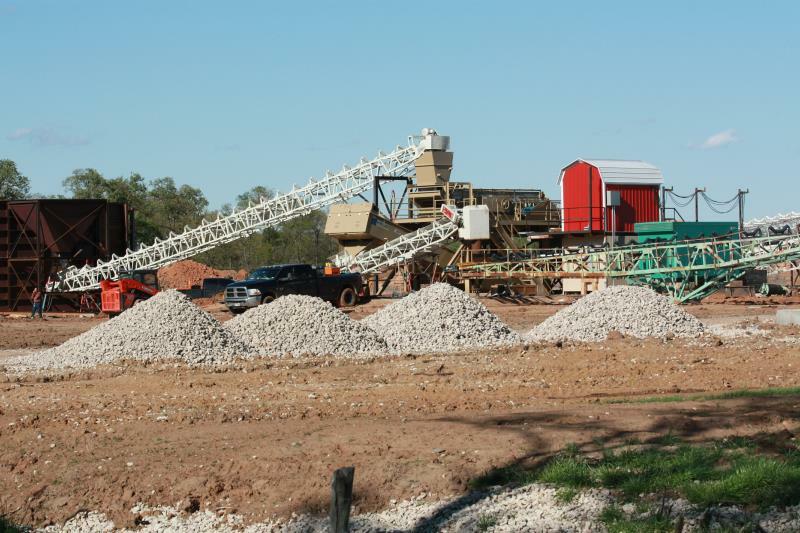 N-TEX Sand & Gravel Company appears to be conducting their business in a professional and ethical manner. They either buy or lease the land for a reasonable price. Then, if written into the contract, they will reclaim the land after the sand is extracted. The owner Tom Gaedtke has contracted Randy Moore (who worked many years for the FC Soil & Water Conservation District) as a consultant to sit down with those landowners to talk about reclamation. 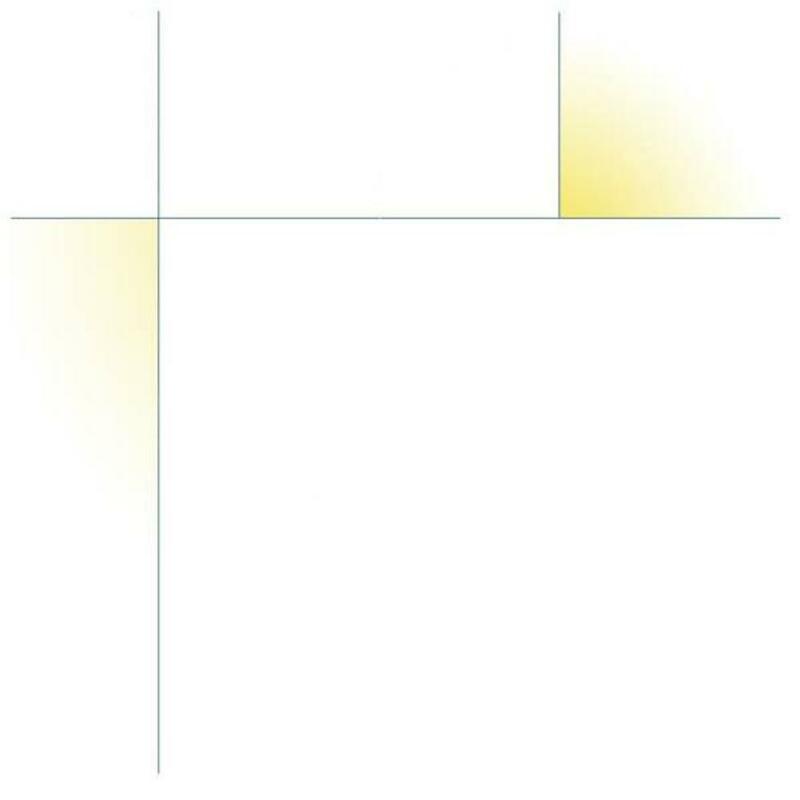 They discuss their vision for their land post-mining — e.g. agricultural uses, livestock grazing, wildlife management, etc. Together they work out a plan that is as close to what they envision as possible. This might mean a large pond, a wetlands, native grasses, wildflowers and trees planted, good grazing grasses sprigged or seeded. 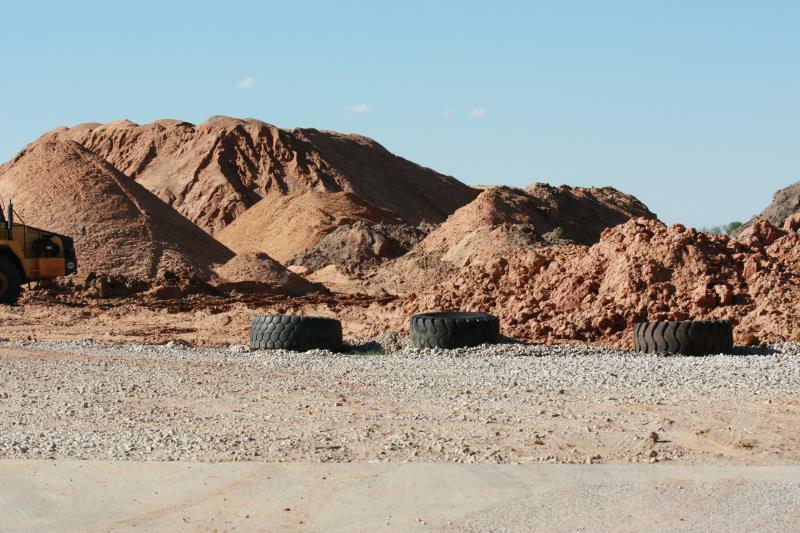 Another entity, Metroplex Sand & Gravel Co. of Fort Worth (represented by a Bill Baldwin) is reported by some landowners as pressuring them in order to secure sales contracts — offering questionable amounts of money and even lying about why the buyer wants the land (e.g. for a ranch). If the owners are not interested in selling, they’re told they will be surrounded by lots of noise and big trucks, 24/7. The company makes a small ‘intent’ payment, but doesn’t plan to close on the sales until they get a large enough bundle of properties to be financed by a Chicago lender. It is unclear how much reclamation they might do, as that is not required by the Texas Commission on Environmental Quality (TCEQ). 1) Ensure the reclamation of the land disturbed by surface mining so that its viability for cattle grazing and crop production, its aesthetic qualities, and its biodiversity are restored. 2) Ensure that, in the process of sand mining, the air is not polluted and the water in shallow wells and other groundwater is not contaminated. 3) Ensure that all roadways and thoroughfares in the county that are accessed for hauling sand are regulated, repaired, and maintained for safe transit, and that traffic laws are obeyed by all mining operators. 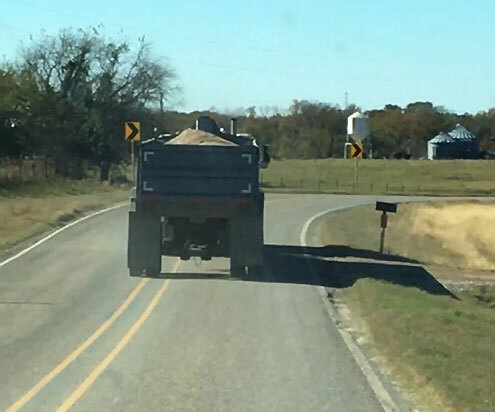 Fannin county citizens concerned about recent aggressive expansion of sand mining operations west of Ravenna on FM 1753 have met with Commissioners Court and at a “Town Hall” meeting with Senator Bob Hall. 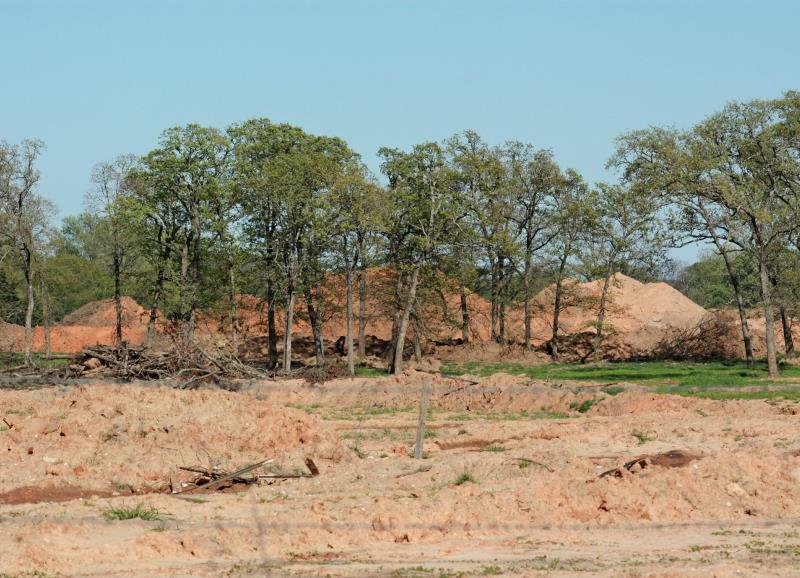 Reported attempts by yet another sand mining operation based in Fort Worth, to acquire large tracts of land in the county have added to citizens’ strong protective reaction against the destruction of agricultural land and woodlands, and displacement of families and long-established patterns of peaceful rural living. The destruction and contamination of state highways paid for and used by all tax-payers is also cited, along with multitudes of speeding trucks endangering drivers on these roads. 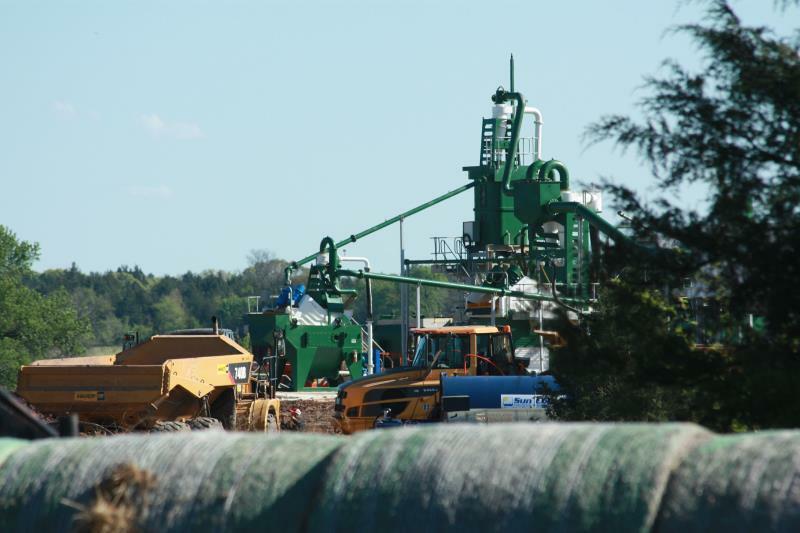 Clean water and clean air: No concern is greater than that expressed for clean water in homestead wells that can be ruined by sand mining operations. Citizen attempts to solicit help from the Texas Commission on Environmental Quality enforce perception that the agency is either not adhering to state regulations or is structurally committed exclusively to large business interests at the expense of citizens and the environment. 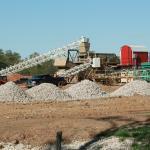 • Determine how to become informed about sand mining businesses in the county. The blog is updated regularly, so sign up there to 'follow' Citizen K.
Wall Street Journal article (3/23/17), " . . . The Rocketing Price of Sand"
" . . . Both the State and Fannin County ignore that the sand mining companies are completely destroying the ecosystem that creates and protects these shallow water wells. They are destroying a layer of groundwater; destroying a valuable source of groundwater that the state has passed laws to protect. This in a county, designated by the State, as a county in need of groundwater protection. . . . "
Click here to read the entire article by Task Force member Jeff Sweet. 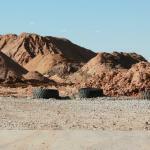 Notices of Sand Mining Task Force Meetings are now being posted on the CORE Facebook page. ■ Assure timely reclamation of land affected by sand mining. 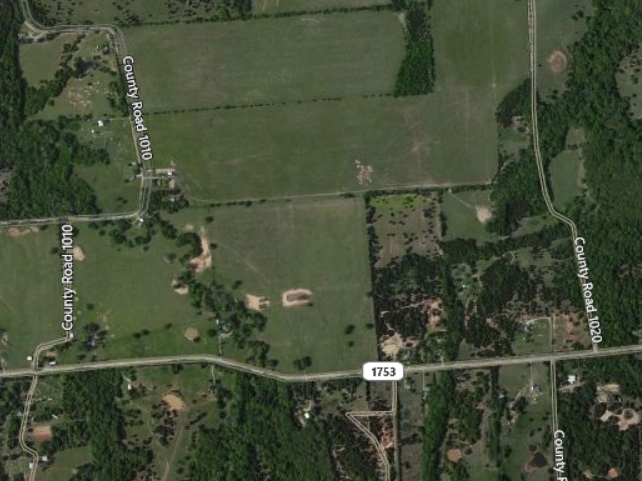 ■ Assure that air and water is not contaminated by mining interests moving into northwest Fannin County. ■ Assure that roads are repaired and that all applicable regulations and traffic laws are enforced.